This is just a sneak peek of what I've been up to lately - hunting the perfect landscape shot. 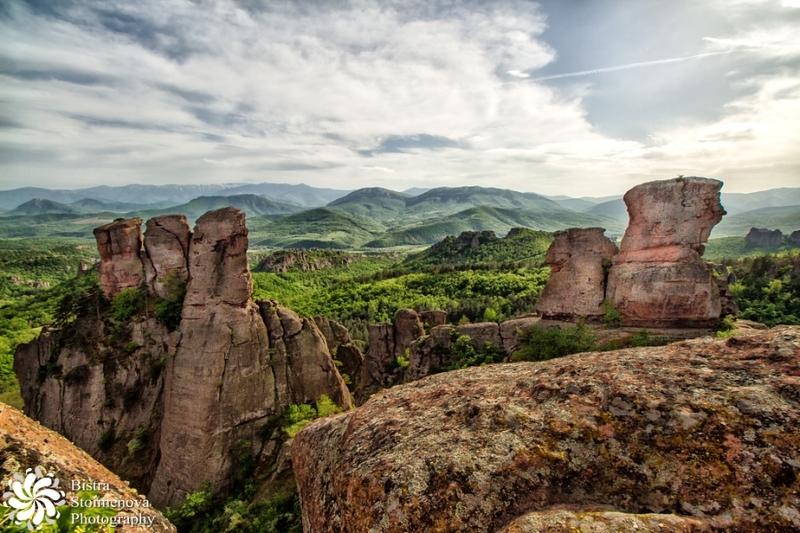 Belogradchik rock formations are one of the most spectacular places in Bulgaria - really, the view is amazing! Problem is that the light can be quite a false friend there. So in the following excerpt you'll read about my ordeals with the lighting there. I promise to write a full-length travelogue and tell you all about it some time soon. Belogradchik rocks in the late afternoon. It is a sandstone rock formation in the Northwest of Bulgaria. In Roman times, the rocks housed a garrison that used to guard the border and it had been so up till 19th century. Now the main part of the formation (from which I took the picture - I promise to post a shot of that soon) is still called Kaleto (the word for 'fortress in Turkish'). The rocks are to be included in UNESCO world heritage sites - there is a procedure under way. You cannot stay inside after 6 pm - the fortress gets locked so there is no way to capture a sunset inside without getting a permit first. Same goes for sunrise. It's full of people - it's a very popular tourist destination, after all - so you don't have the time for a tripod or some tweaky long exposure tricks. Besides, the top of the formation is not that big so you don't have much space to move around either. This is my second visit to the place. You have no idea how difficult it is to get the right light there - even if you go at noon, the rocks would be black against the sky. So I went in the late afternoon and made sure it's a cloudy day. Still the result is not ideal so I guess I'll have to go a third time :) This time I'll make sure that the weather forecast says it's going to rain. Entrance fee is 6 leva, last group goes in at 7pm (you can even listen to a tour guide but you have to pay some extra money - if you don't - as I did - been there too many times to listen to one and the same story all over again, besides - it was the pictures I was concentrated on - you can roam around freely and enjoy the view.). Outside the fortress you can buy some amazing local wine - totally recommend it! I used a wide angle lens (10 -18mm) and still had problems with filling the scenery into the frame. Besides, I could only see the images through the viefinder - the sun was shining in the LCD so I shot on autopilot - taking as many pictures as I could. Of course - since I knew that I'll need post processing - I used RAW format. Posted by Bistra Stoimenova at 15:37 ч.